Phil Elverum doesn’t like to do the same thing twice anymore. After a number of records rooted, to various degrees, in acoustic and indie rock sensibilities (both as Mount Eerie and as earlier moniker The Microphones), his 2009 album Wind’s Poem was a nocturnal exploration of the nature and magic of his native Pacific Northwest, set to atmospheric quasi-death metal jams. Clear Moon, the first of the two albums Elverum will have released by the end of this year, continues with the themes of home and environment (this time focusing on the artist’s hometown of Anacortes, Washington), while ditching most of the metal. Which is not to say that it’s not a dark and penetrating record. Gravity is conveyed here by experimental landscapes that read like industrial music performed by rocks and trees, and a good deal of Cocteau Twins-esque dream pop. The towering centerpiece and highlight, “House Shape,” marries the two styles together seamlessly. 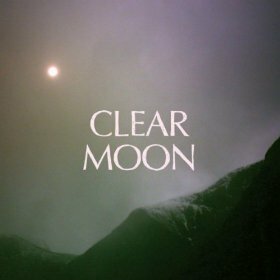 What longtime Phil Elverum fans might appreciate the most is the fact that Clear Moon recalls some of the lo-fi trial and error of early Microphones, while still seeming very much like a logical next step for the musician, fresh and stimulating. It’s comforting to know that Elverum is still searching, and still willing to have a go at the unknown.